Pacific criminal defense attorneys who know how to win your case. If you or a loved one has been arrested for a crime, you should know that accepting the charges is not the only option available to you. A Pacific criminal attorney from the Law Offices of Jason S. Newcombe can construct a reliable defense that could potentially have your charges reduced or dropped, returning you to your family and your everyday life. We understand how you are feeling, and we know how challenging it is for you and your family that you are in trouble with the law. Our staff of experienced and resourceful Pacific criminal defense attorneys is ready to help you through this difficult time without negative judgment and with complete respect. 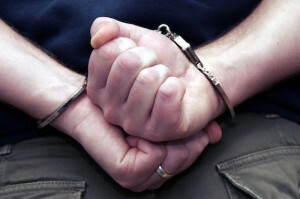 Why Hire a Pacific Criminal Lawyer? If you have been accused of being involved in any criminal activity, it is critical to speak with a criminal defense attorney before making any admissions to the police. As an accused party, the constitution of the State of Washington entitles you to the right to confer with your legal representative while being questioned by the police. This way, you are less likely to say something that could potentially incriminate you. You are also entitled to have your legal representative present during all portions of your trial - and our Pacific criminal defense lawyers are prepared to guide you through the process and explain everything you may be in doubt about in regards to your case to you to make certain that you know what to expect in the coming months. We take a team approach to your case, and our legal team knows the best method for building an excellent defense for you. Our thorough Pacific criminal defense lawyers will go through every part of your case to be certain that all evidence was gathered legally to ensure that the police have not taken any liberties with your case. Per our years of experience in Washington State, we are also familiar with the prosecuting legal team who will be trying your case in court. We believe that all people deserve a good defense. Our low flat rate fees and affordable payment plans mean that our services are available to anyone in need of a Pacific criminal defense lawyer. Call us or contact us online to learn how we can help you.